Buenos Aires, to me, has been one of those perfect examples of why we should visit the same place at different points in our lives. To be honest, the first time I visited the city, I came away unimpressed. Then the second time I visited, I enjoyed the city. On my most recent visit, I loved the city and could actually see myself spending significant time there in the future. I had 5 full days in Buenos Aires, and spent 4 of those days photographing some of the coolest locations in the city. 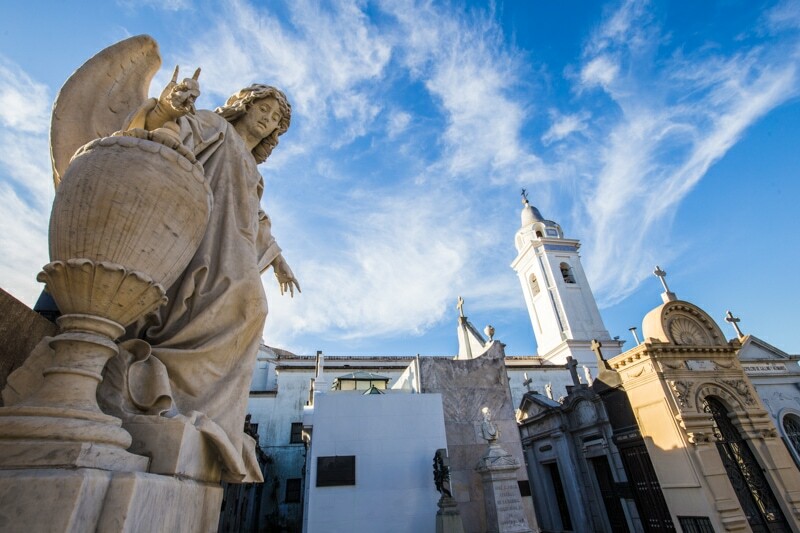 Thus, I decided to put together a little bit of a guide on the best places in Buenos Aires for photography. Of course, I also made a video on location in Buenos Aires, so if you’re more of a visual person you can check that out below. 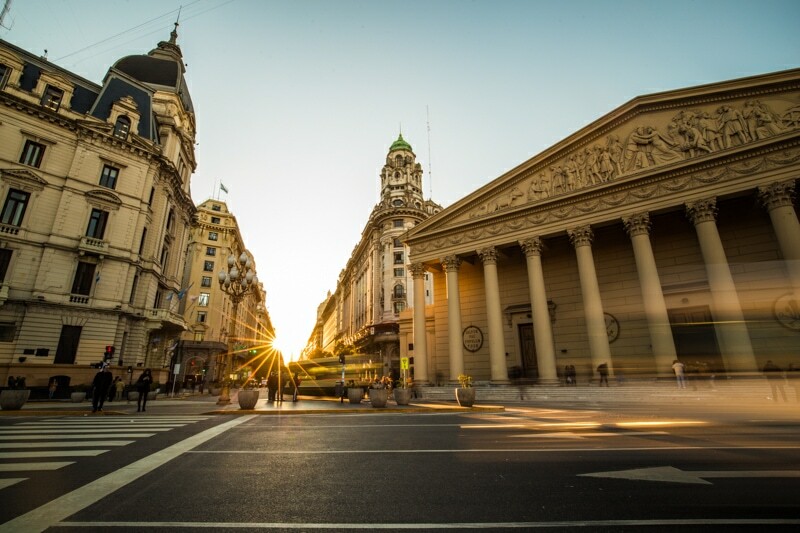 The first couple times I visited and photographed Buenos Aires, I didn’t even visit Plaza de Mayo. I was fairly unimpressed with the pictures I saw online, and decided to instead shoot the grittier neighbourhood of San Telmo. This time, I gave myself an evening in the plaza. And despite the fact that I didn’t really get good light, and I really had to search for interesting compositions, I do think I ended up with some cool images at the plaza. For the most part, I focused my photography on the Cathedral and the streets right alongside it. However, I also shot the Casa Rosada from a couple different angles. There are definitely some interesting buildings and architecture in this area, so it should definitely be on your lists of places to photograph in the city. Likely my favourite image from the plaza. Last shot before calling it a night. 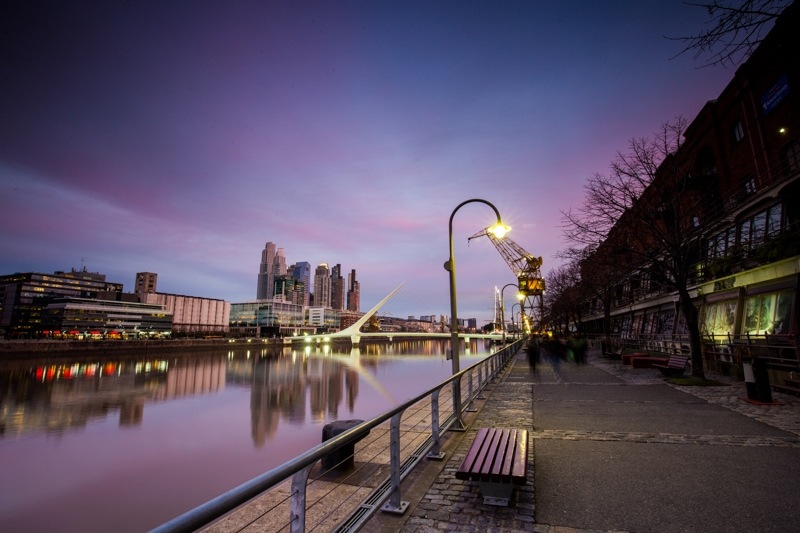 I found Puerto Madero on my second visit to Buenos Aires when I went with some local friends for dinner in the neighbourhood. On that occasion, we arrived right at sunset and the sky just exploded with colours. Of course, I didn’t have my camera with me and missed the spectacle. 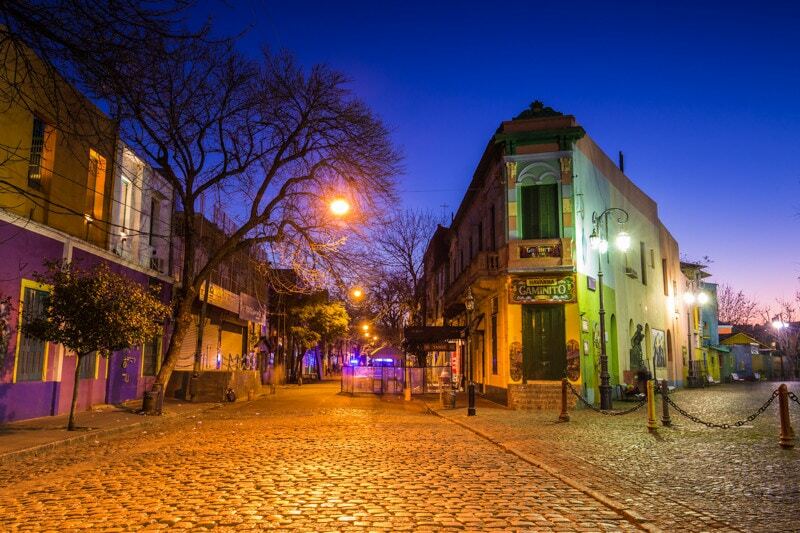 I knew that if I ever got back to Buenos Aires, I needed to dedicate a night to shooting in this neighbourhood. 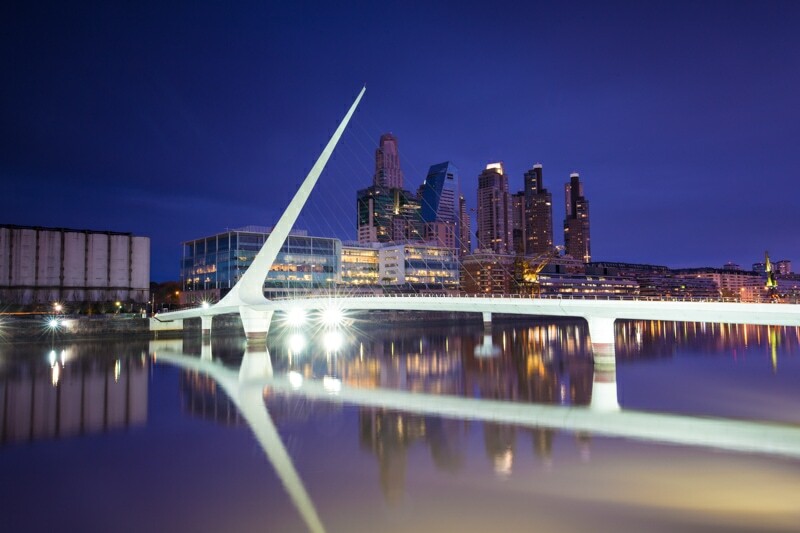 I waited to photograph Puerto Madero until a night where they forecast clouds. All my other nights in Buenos Aires were blue-skied. And, I think when you’re photographing scenes like this, you really need a great sky to set off the images. I got lucky with the clouds, and weather, and it really turned out to be a great day of photography in Buenos Aires, perhaps my favourite. 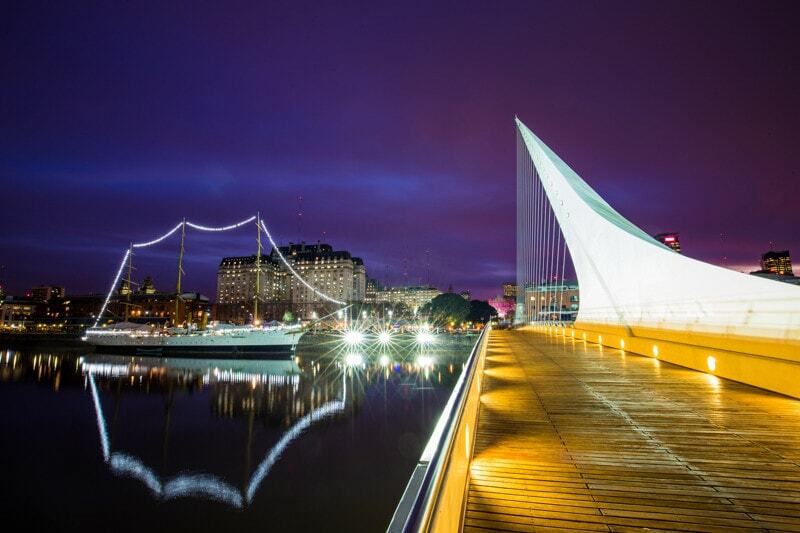 I got great light in Puerto Madero for photography! From the Puente de la Mujer back towards Buenos Aires. 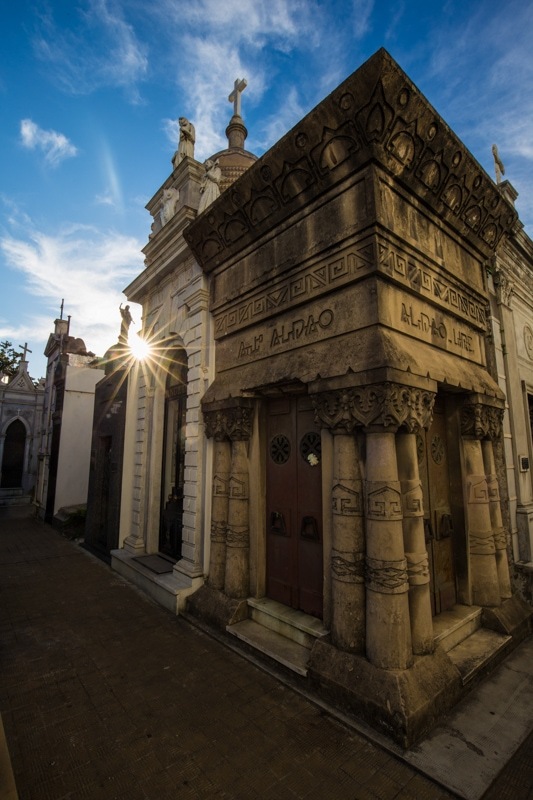 Probably the best light for photography I had my entire time in Buenos Aires. 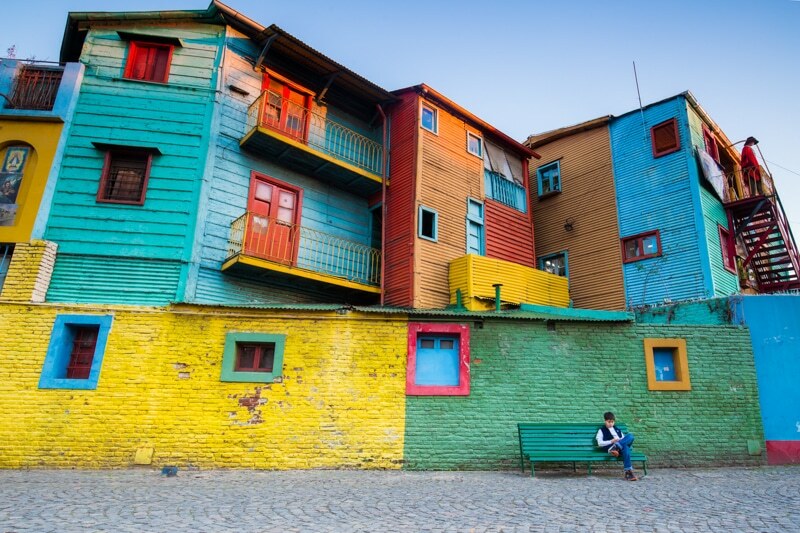 La Boca is probably Buenos Aires’ favourite neighbourhood among tourists and photographers. The popular tourist-zone known as El Caminito is extremely busy during the day. But, just before evening hits the area clears out completely. I heard rumblings among tourists that they were warned that the area isn’t safe at night. Personally, I think that’s crazy. But, their worry was to my benefit as I got to shoot some of the locations I wanted without any people getting in the way. 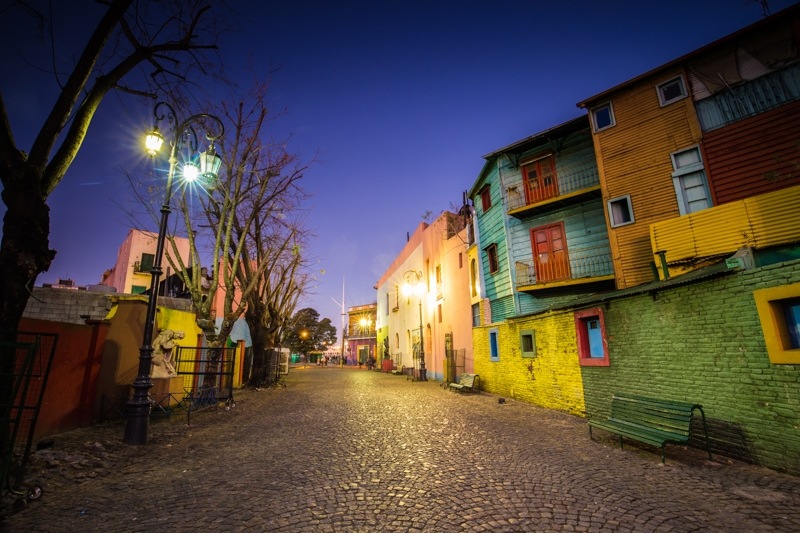 The La Boca district is a great place to photograph, even beyond the popular tourist area. There’s lots of graffiti, plenty of colour, and some interesting buildings as well. Of course, if you’re into the cultural side of things there are also some cool tango shows worth seeing and photographing. 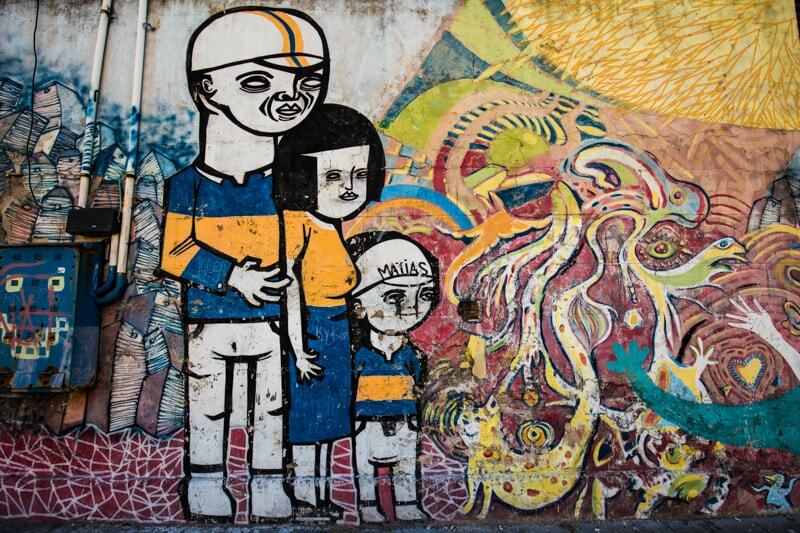 I love all the graffiti in La Boca. The colours are awesome. Great for street photography. One of my favourite images from La Boca. The boy on the bench just makes this scene. 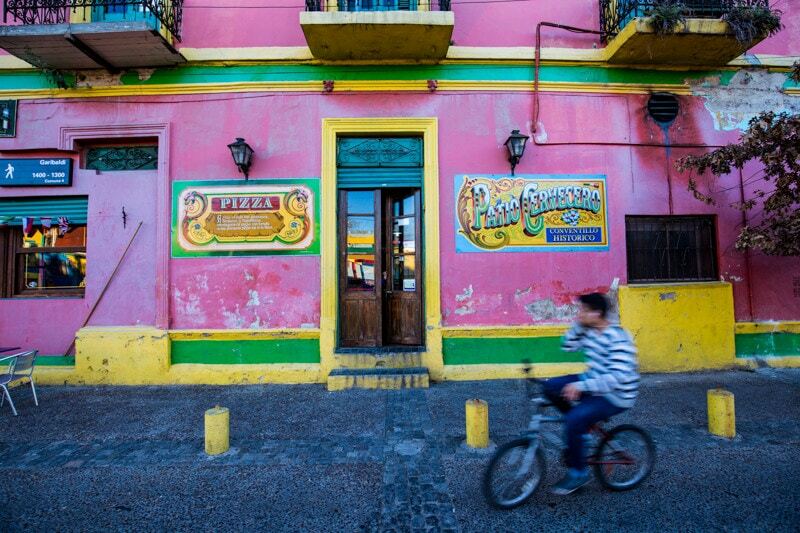 The iconic photo of La Boca. This cemetery is not only a fantastic place to history hunt – Evita is burried here – but it’s also one of the best places in Buenos Aires for photography. Sure, you can’t come here at night or even during sunset, but you can still grab some really cool imagery. On my first visit to the city, this was actually my favourite location to shoot. 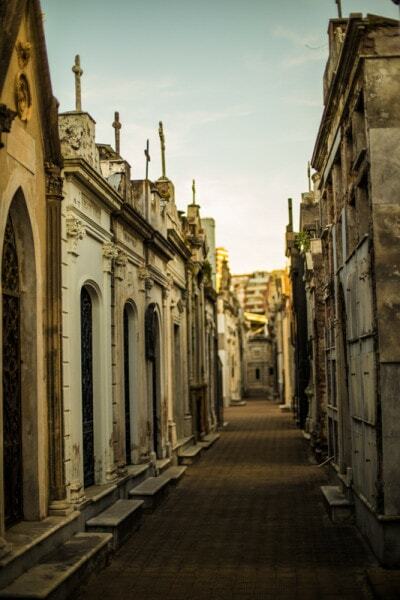 And, after a third visit to the cemetery, I was still enthralled by it. There are just so many interesting things to photograph in here. There are so many details, and it seems like everywhere you look there’s something worthy of capturing. I used my wide-angle lens a lot here, but I also had a blast shooting the Canon f/1.4 wide open. I got to La Recoleta Cemetery about an hour before sunset. The light was fantastic for photography. A few wispy clouds to set it all off. Sun stars all over the place. 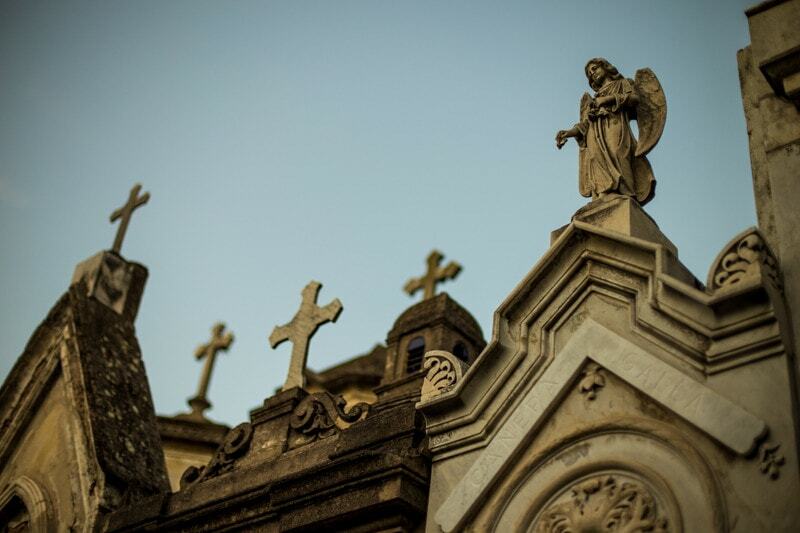 Had some fun shooting the 50mm f/1.4 lens in the cemetery. 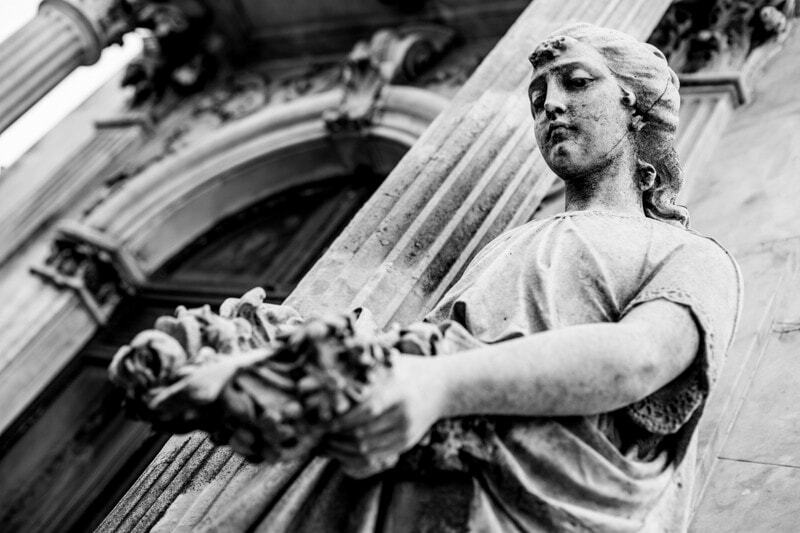 Such beautiful details here in the cemetery. Some great subjects for photography. 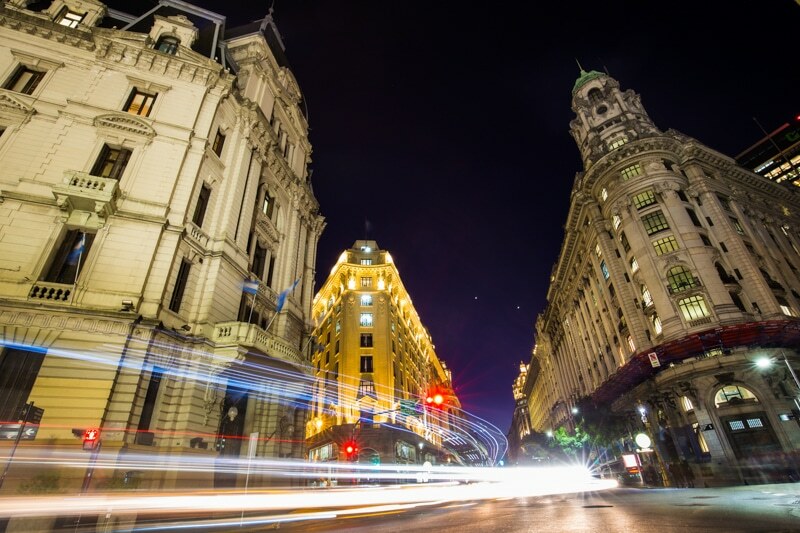 Like all great cities, it’s nearly impossible to photograph Buenos Aires in one single visit. You’d need weeks to properly capture all the various districts in the city. On my previous visits to the city I visited places like San Telmo, and El Tigre, which were OK for photography. 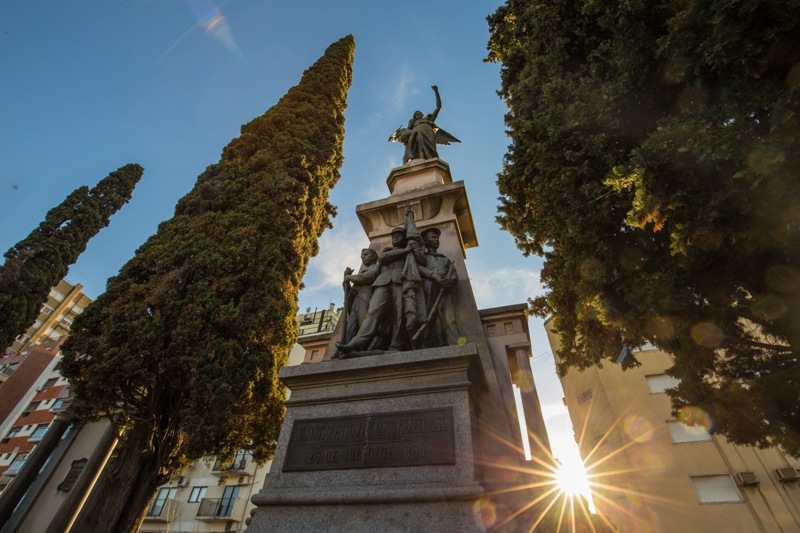 You could also do some shooting in the Botanical Gardens or the more affluent neighbourhood of Palermo. Another location I really wanted to shoot this visit, but didn’t have the time, was the Plaza de Congreso. But, I suppose if you photograph everything, you don’t have a reason to return. 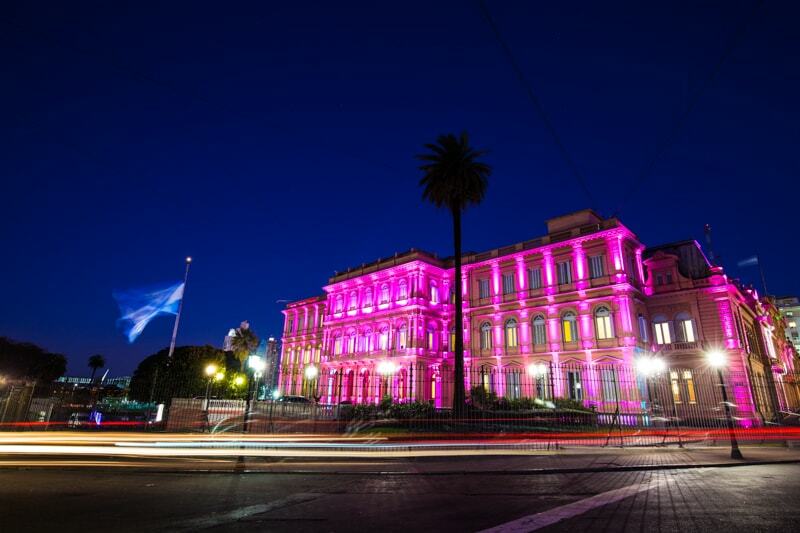 And, I’m already looking forward to my return to Buenos Aires. Next, I’m off to the wonder that is Iguazu Falls where I’ll be visiting both sides of the falls. Then, I’m back in Brazil for about 6 weeks in which I’ll spend time in places like Paraty, Rio, and all the way up in the Amazon. Stay tuned, lots of fun travel photography content coming up. Next ArticleWhich Side of Iguazu Falls is Better? 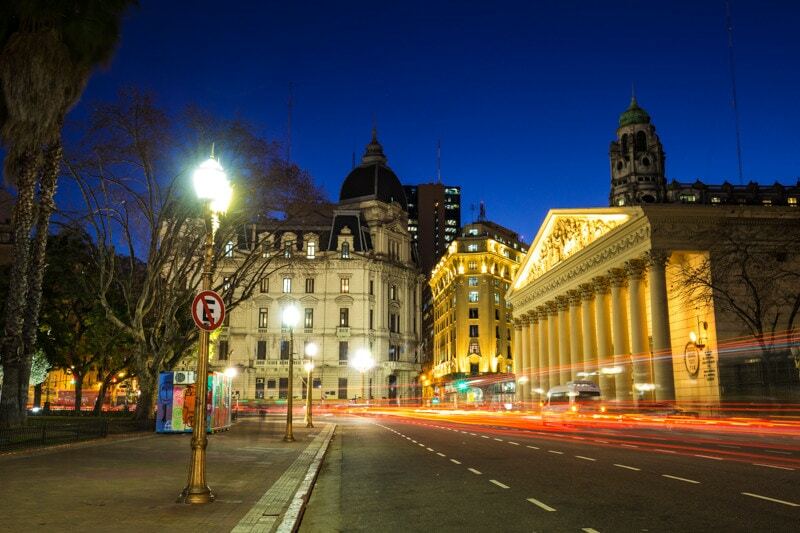 Glad you like the photos of Buenos Aires! I don’t actually know anyone there doing that. Haven’t looked. I think it’s one of those cities you could do without a photo tour though! Love all these photos! Especially the sun-burst one. It’s so spectacular! 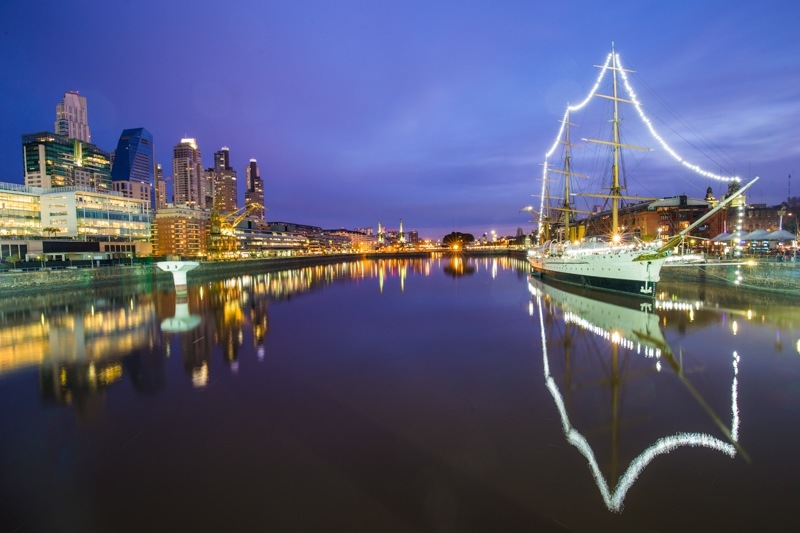 Buenos Aires looks a bait for avid photographers. Thanks for sharing! Thanks Renuka! Glad you liked the imagery! Beautifully captured images, I really enjoyed this post because of mesmerizing images. Your pics are amazing, I live vicariously through travel and photo books as I slave to make funds to set out on a year world tour! This is one of the places on my list, I am starting with Paris. Been holding tight to Michael Saint James’ photo book Bridges of Paris, bridgesofparis.com is his site. His photos are spectacular, and I love to see these places that are photo worthy! I had to chuckle after reading your bit about tourists believing El Caminito is usually unsafe after dark, as I had someone approach me and attempt to steal some of my gear from me while I was touring the area during the day. With lots of people around me. Thank God for straps! Hahaha, yup, I think La Boca is actually more dangerous in the day than at night. Thanks for the compliment on the images! Fabulous shots Brendan! 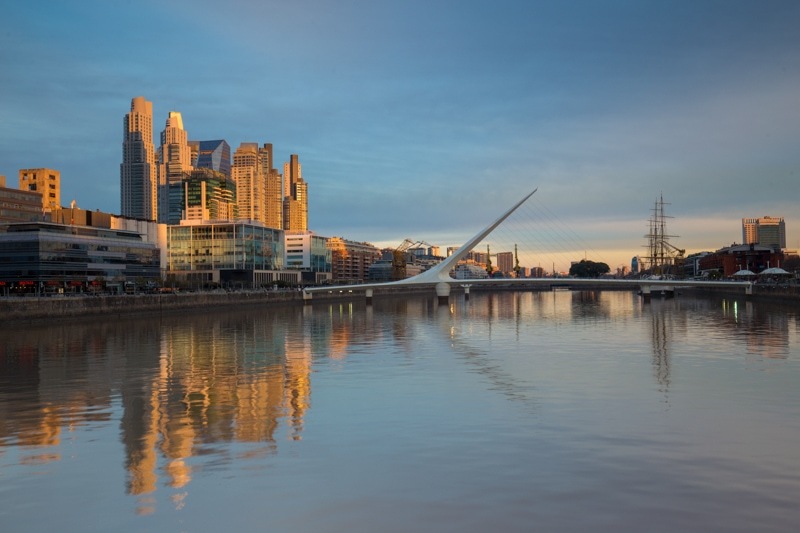 My friend and I will be in Buenos Aires for a few days in September 2016. We are looking forward to taking some street photography while we’re there but we are very concerned with the safety of our photo gear. We have been reading stories of how people get robbed in broad day light in parts of Buenos Aires and that it has gotten worse since the economy isn’t doing so well. Any recommendations on how we could protect our valuable camera gear? Would it be best to only carry one camera around the neck? Or would it be safe to carry a camera bag? You’ll be fine with gear. Just be sure to stay in fairly populated areas. I’ve never had a problem with gear in Buenos Aires. That said, not just leave it around. Most of the crime is crime of opportunity rather than muggings, so be vigilant, and smart, and you’ll be fine. 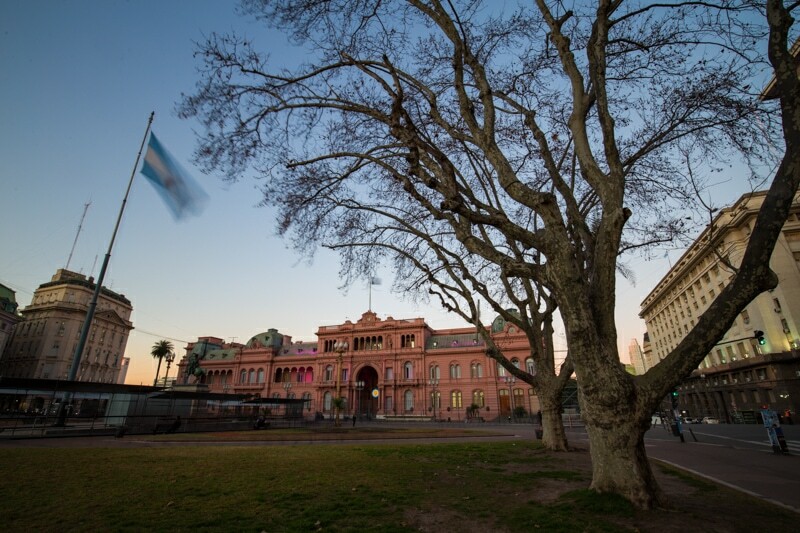 I walked to the Plaza de Mayo yesterday, the entire area is under construction! Nice dinner though. Will try the Port in a day or two, looks interesting.